The accounting and financial audit, in its basic definition is reviewed by an independent professional in order to express a professional opinion on the regularity, sincerity and fair presentation of financial statements. Financial statements which follows the financial information made available to financial markets and the various stakeholders of the company. * An ability to decide clearly, and sometimes rapidly, on topics relevant to the professional judgments. The independence and work ethic of our team, combined with the ambition of permanent satisfaction of the customer, can promote the reliability, technical and intellectual rigor among the essential qualities of our partners and associates. In a constantly changing economic landscape, the financial information is a key element of corporate strategy vis-à-vis the financial markets and other stakeholders. For CLS Audit Council certify the financial and accounting information is used but also develop the confidence of investors and contribute to business development, including better risk management and improving the quality of management. CLS Audit Commission has wrought in just five years proven experience in auditing national and international. Thus it now covers all of Central Africa or 6 countries. 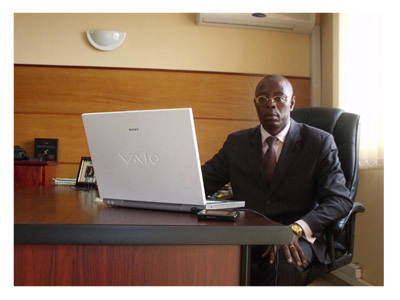 With three partners, all former heads of mission in the two largest services firms in the intellectual world and a dozen employees and consultants in Cameroon, CLS Audit Consulting offers services that are recognized by key customers who trusted him. With its entry into the network of Nexia International, CLS Audit Commission has developed a signature for all internationally recognized. Founded in 1971, Nexia International is an extensive network of audit firms and independent consultants, including 650 offices in 97 countries. Ranked in 9th place worldwide, it achieves a turnover of 2.3 billion and employs more than 23,000 people. Through its membership in this global network, the network firms NEXIA International are able to assist their clients in all their projects and international developments. Recognizing the challenges and issues specific to each sector of activity, CLS Audit Commission is developing sectoral expertise to develop sophisticated solutions that anticipate and meet the needs of businesses in key areas of our economy.